The proof in the pudding of a new project is how much wear it gets. There have been things in the past which I’ve initially been in love with, only to later realise it was just a short lived crush left to languish in the wardrobe only to see the light of day for an annual Me Made May outing (I’m looking at you Farrow) On the other end of the scale are those lasting true loves that you can fall back on again and again. 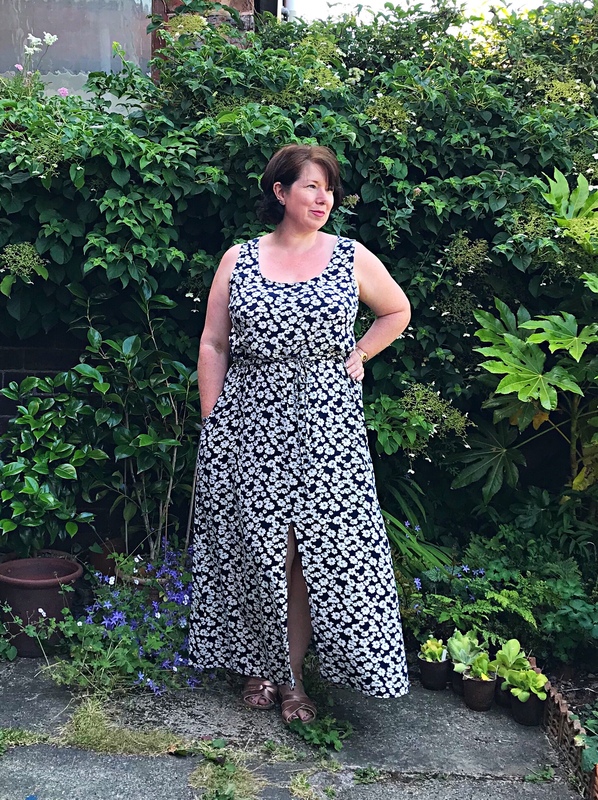 The UK, along with much of the northern hemisphere, has been experiencing a heatwave for weeks (a quick look back at my Instagram Me Made May posts shows the last time I needed to wear a cardigan was the 30th May) Anything slightly fitted or with sleeves has been uncomfortable to wear and a combination of heat and hormones has led me to be a couple of sizes bigger at the end of the day than I am in the morning. 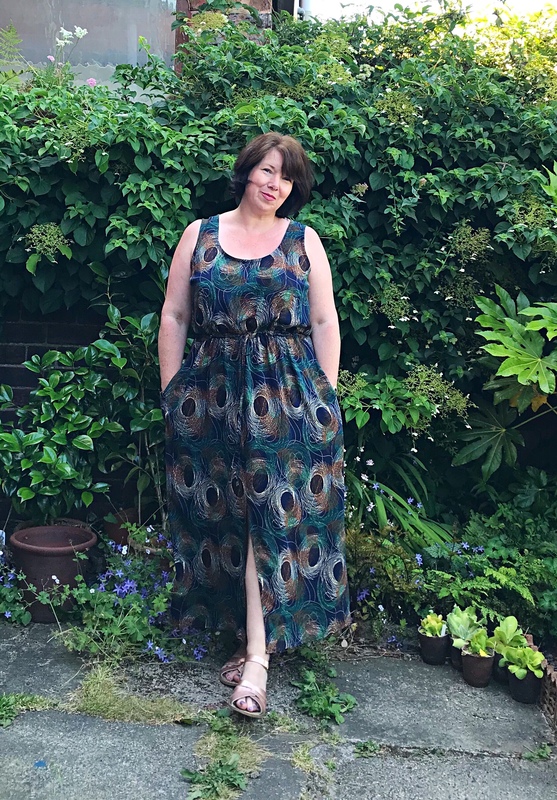 The True Bias Southport dress has been my saviour and I can’t praise it enough; sleeveless, loose and with a drawstring waist, it has made the heatwave bearable. My first one was made three years ago and was a lengthened version of view A. 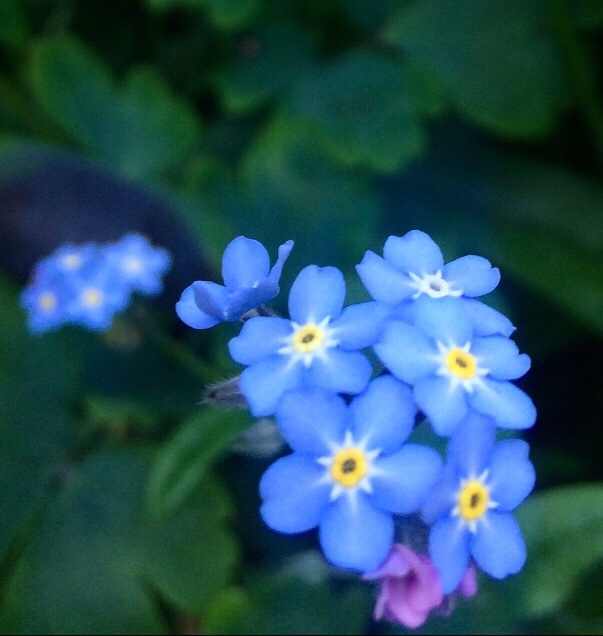 When I came to blog my latest one I realised I’d never got around to posting the previous two so I thought I’d do a catch up triple bill (warning for the picture heavy post ahead). ‘The Southport dress is a tank style dress designed to be worn as a coverup at the beach or a dress for around town. 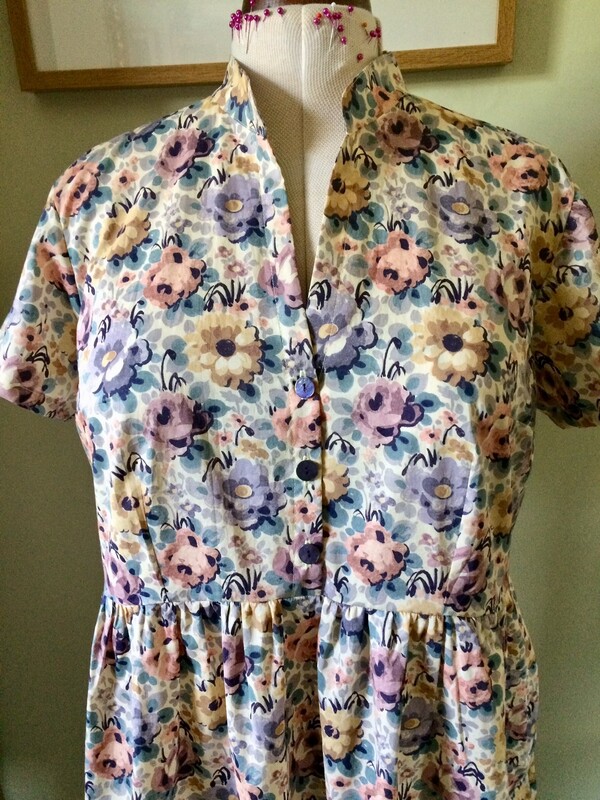 It has a button opening at centre front and a drawstring waist with inseam pockets. View A hits 20” from the waist. View B is maxi length and hits 42” from the waist and includes a centre front slit. The size range is good, starting at 32-26-34 and going up to an 18 at 44.5-38.5-46.5. there’s three inches of ease at the bust and 5 inch over the hips. It’s an easy pattern to grade up or down if you are outside the size range. 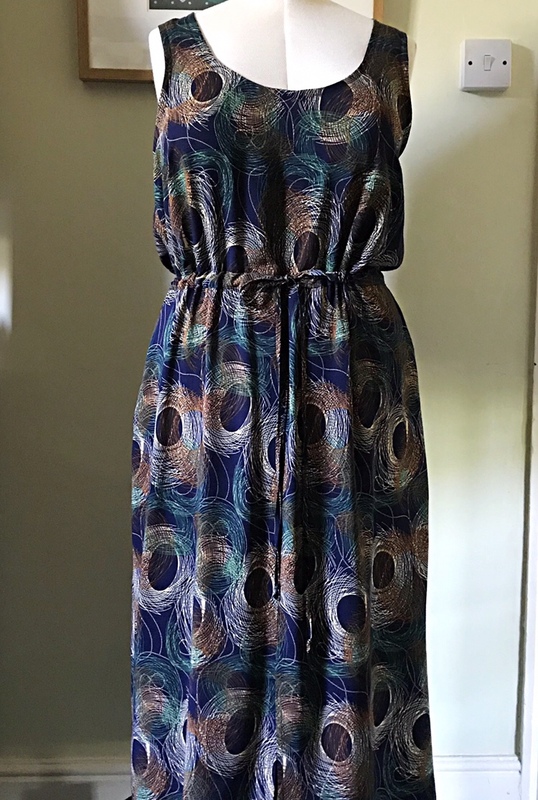 I cut a size 16 (42.5-36.5-44.5) which is closet to my measurements (42-36-42) The most recent one is the Peacock print. 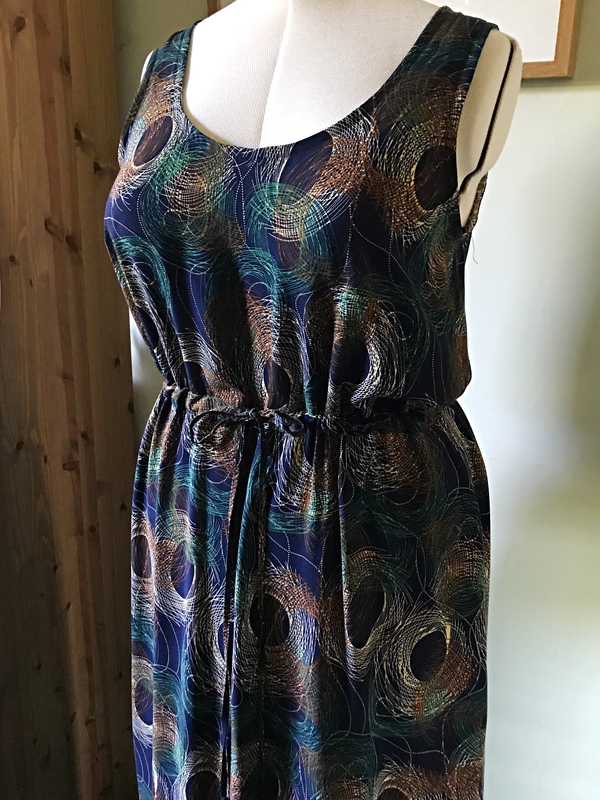 The fabric is viscose and was a late night eBay find (I’d been on a stash diet but had a slight lapse) It was pictured draped over a mannequin with the ovals running vertically. However, when it arrived they actually ran on the cross grain, I decided to just go ahead and cut it across but as I only had two metres there was a bit of fudging needed. For once being 5ft 1in worked to my advantage, as I needed to shorten it by 7 inches I was just able to squeeze it on. 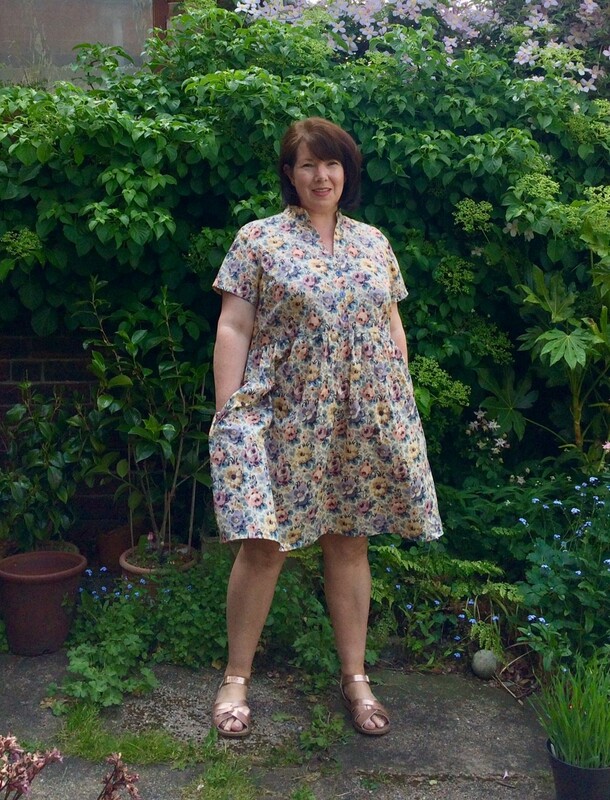 The dress comes together really quickly, I omitted the button placket again, the first time was due to fabric restraints, the following two due to laziness and impatience. 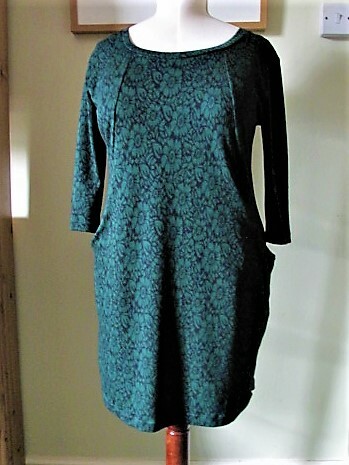 I used self made single fold bias tape to finish the armholes and neckline and finished all the seams on my overlocker. 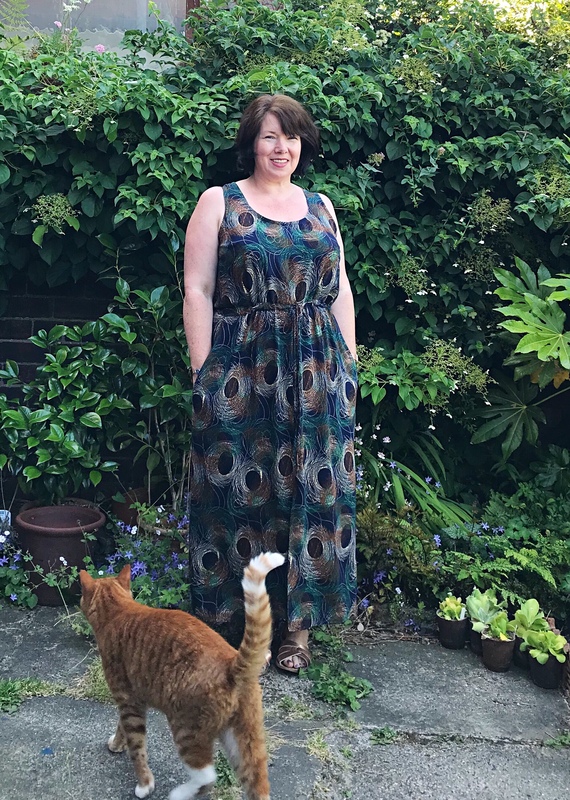 The Southport really converted me to the wonders of the maxi-dress, I have lived in them for the past few weeks (and the past few summers) and feel quite put together whilst being wonderfully comfortable, it’s certainly made getting dressed in the morning very easy. 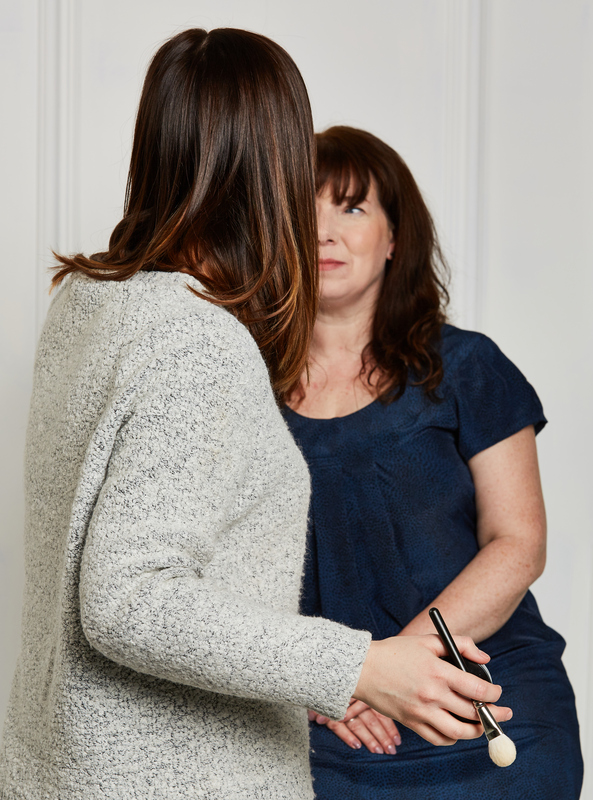 We’re not used to prolonged heat in the UK, most summers necessitate the need for a cardigan and the occasional waterproof and any period of sunshine is met with the scepticism that it will go as soon as the kids break up for the summer holidays. We’re now into the third week of the holidays and it shows no signs of abating. 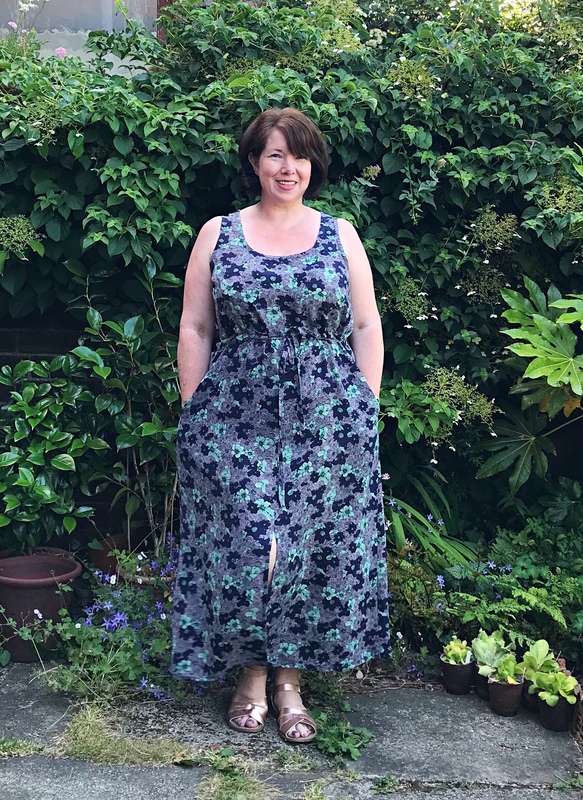 Maybe my other summer dresses will get a look in towards the end of the summer but for now my Southports remain in permanent rotation. • Choose a medium weight fabric, for example tweed, light boucle or other wool or cotton blend. 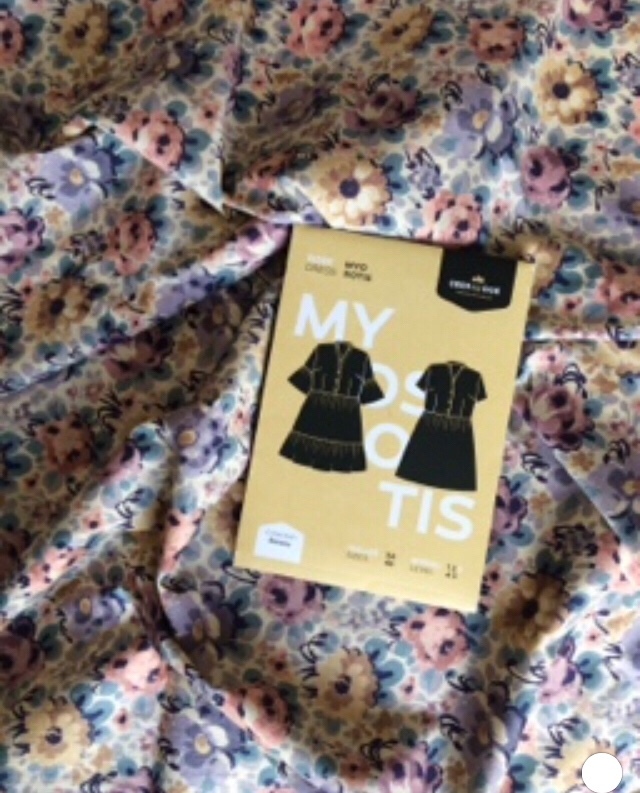 I chose the pattern mainly because of my past experience with Named (my Kielo, Talvikki and Tuuli) I really enjoyed sewing these, each one being completely stress free. I pondered on what fabric to use, initially I was going to use it as an excuse to fabric shop but decided to see what I already had in the stash. I’d bought 3 metres of this floral medium weight Linen last summer, a bargain at £2 a metre (From Economy Fabrics, just off junction 29 of the M1) I decided to take a gamble with it, the other half wasn’t convinced as he thought it looked like curtain fabric. I chose to ignore him and went ahead regardless. The size range starts at a EU 32 which is a US 0 and UK 4 and goes up to a EU 46 Us 14 UK 18. Interestingly the size chart only contains the actual garment measurement (the bust range is 35 ¼ – 46 ¼ and the waist 36 – 46 ¾) I really wish all pattern companies did this, it makes it so much easier to pick a size rather than going on arbitrary body measurements and trying to figure out how much ease has been added. I really enjoyed sewing this, the drafting is good and everything fits together perfectly. 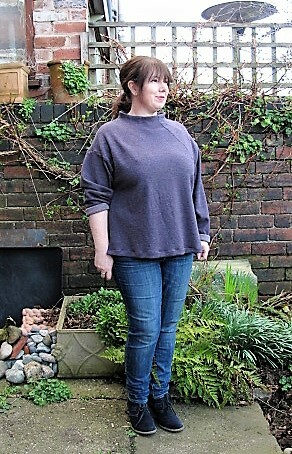 It was quick and easy to make, an ideal project for an advanced beginner wanting to dip their toe into outerwear. 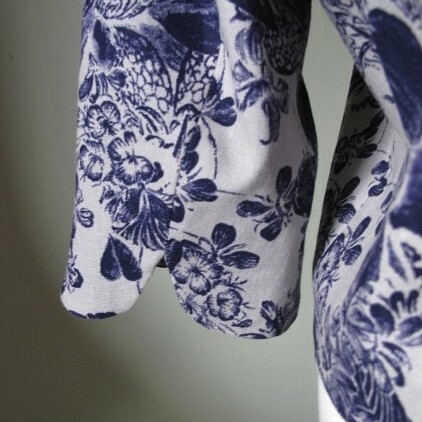 The fake pockets have got a bit lost in the print and I would have preferred them to be functional but I think it would be easy to convert them to a proper welt pocket. 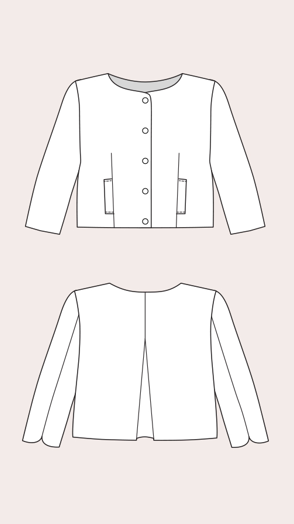 Although it’s a very simple jacket the dolphin sleeves and inverted pleat at the back really elevate it. 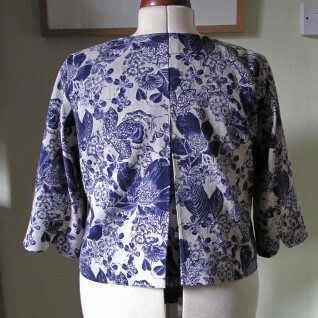 I’m pleased I went with the navy buttons and lining as it is nicely understated and works perfectly with the print. The husband’s admitted that it doesn’t look like it’s made from a curtain after all! I’ve often admired the style of Japanese pattern books; the clothes look so stylish and understated. I’ve resisted buying any as the size range is usually tiny and would need some serious grading up (plus the instructions are in Japanese!) 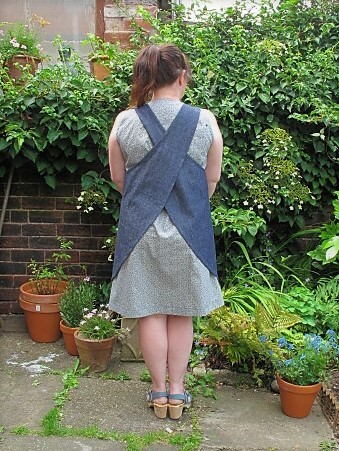 One thing I’ve really wanted however is a cross back apron. Simplicity 5201 and 7481 are the only commercial pattern I’ve found but both are out of print and fetching over £35 online. 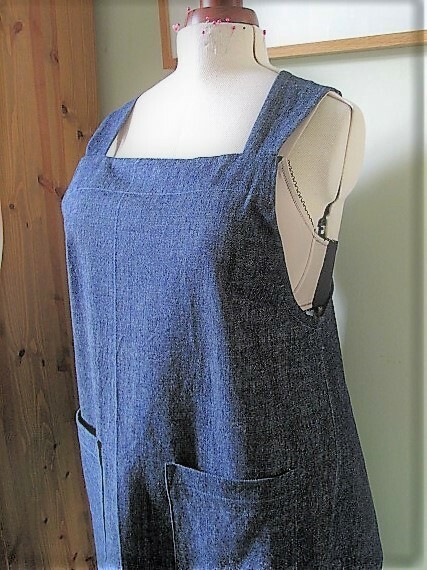 There are many tutorials of how to draft your own but after a little browsing of Pinterest I came across a free PDF pattern from Japanesesewingbooks.com. 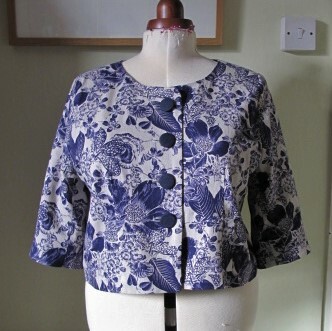 Patterns are available for both adults and children and there’s a very good video tutorial of how to put it together. 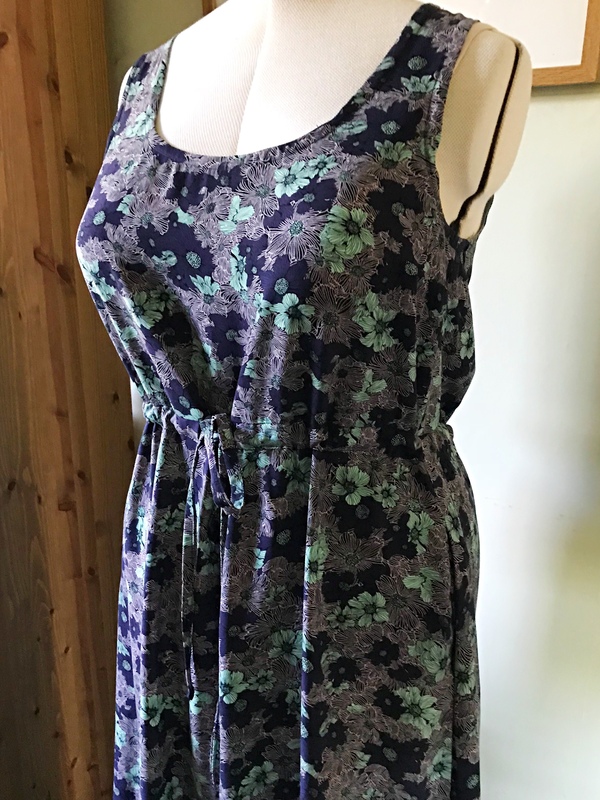 I couldn’t see any measurements for the adult pattern but knew I would have to size it up a bit (I’m a UK 14-16) I added 2 inches to the centre front and an inch to each side seam. 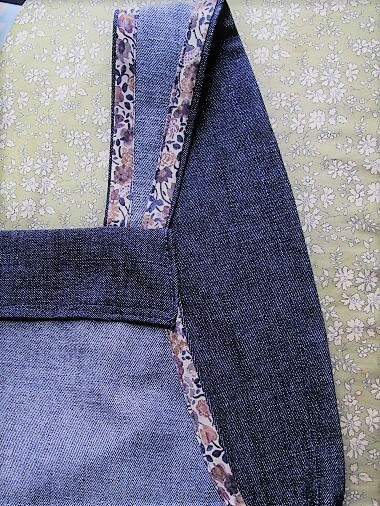 The edges are finished with bias binding which can be exposed or faced under. I used possibly six metres (just guessing but it was a lot) I’d made around 25 meters of single fold binding using remnants of Liberty Lawn a couple of months ago, it’s proved to be time well spent. 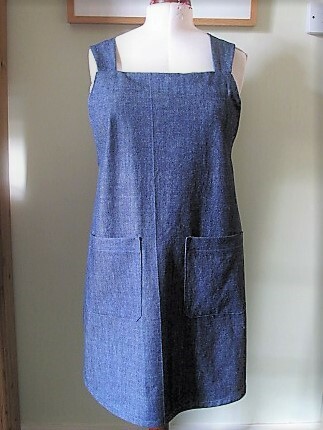 I added the pockets myself as they are none included in the pattern. 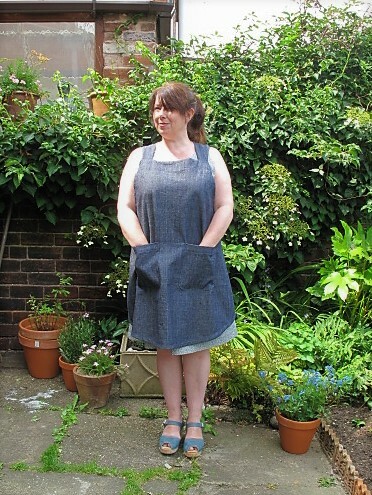 I’m incredibly happy with how it’s turned out, the denim makes it perfect for gardening (I have a habit of getting my hands covered in compost and wiping them on whatever I’m wearing) I’d like to make a Linen version to wear around the house for cooking and housework (although this would likely get a lot less use than the denim one as far as housework’s concerned!) 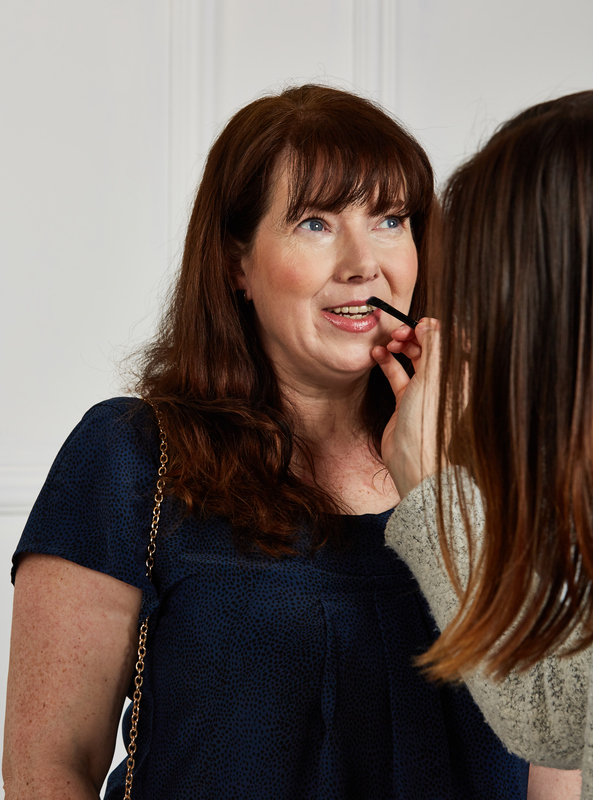 All in all, it’s incredibly practical and far more stylish than a flowery apron! I’d had my eye on the Sew Over It Heather dress since it was released. 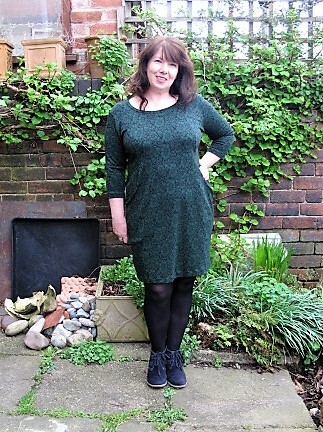 Knit dresses are definitely the most worn things in my wardrobe and the Heather was quite different from the ones I already had. It also had enormous pockets which is a big plus in my book. 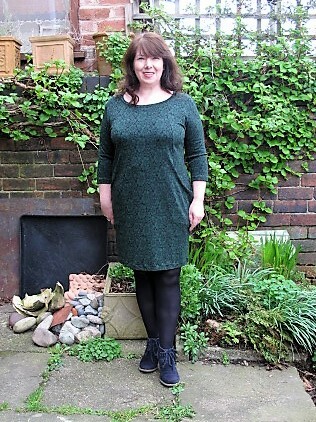 If you live in knits, the Heather Dress sewing pattern is for you! 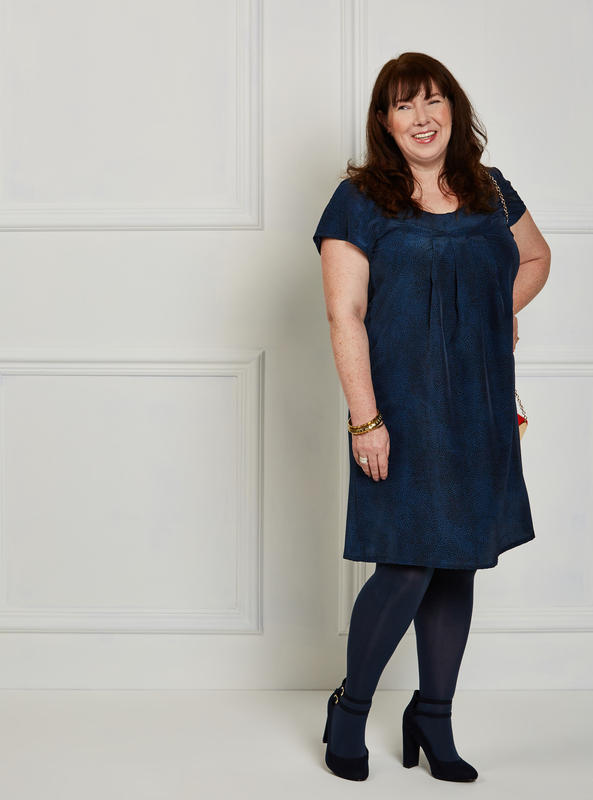 Versatile and super comfy, the Heather Dress is sure to be a wardrobe staple. 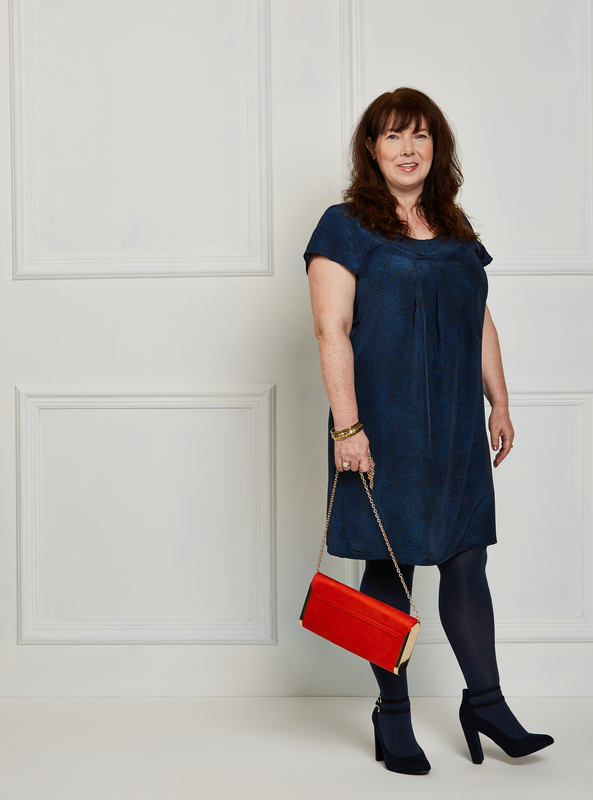 A gorgeously chic jersey dress, Heather can be smart as well as casual and will keep you looking put-together and fab wherever you are; at work, for dinner out or just at home. 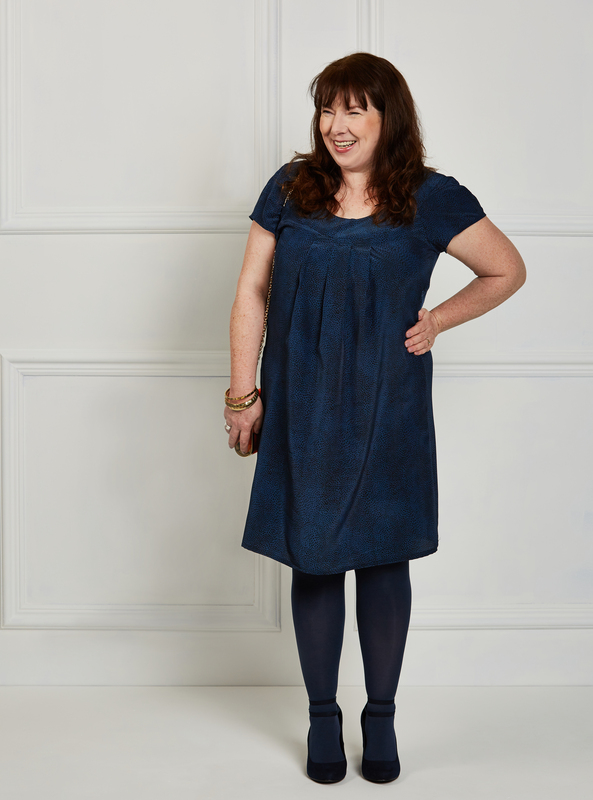 The Heather Dress has cleverly concealed in-seam pockets (always a winner!) and a panelled bodice which makes fitting a dream. 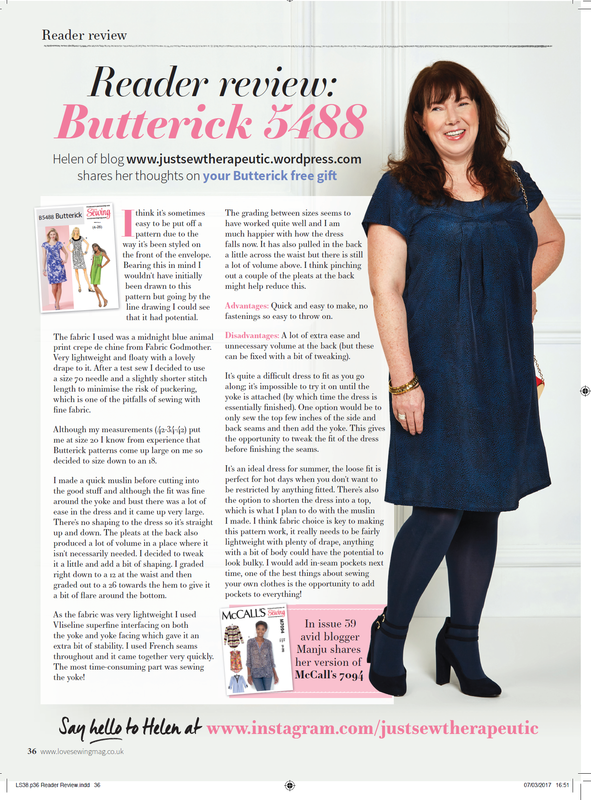 With opportunities for colour blocking you can really make Heather your own. 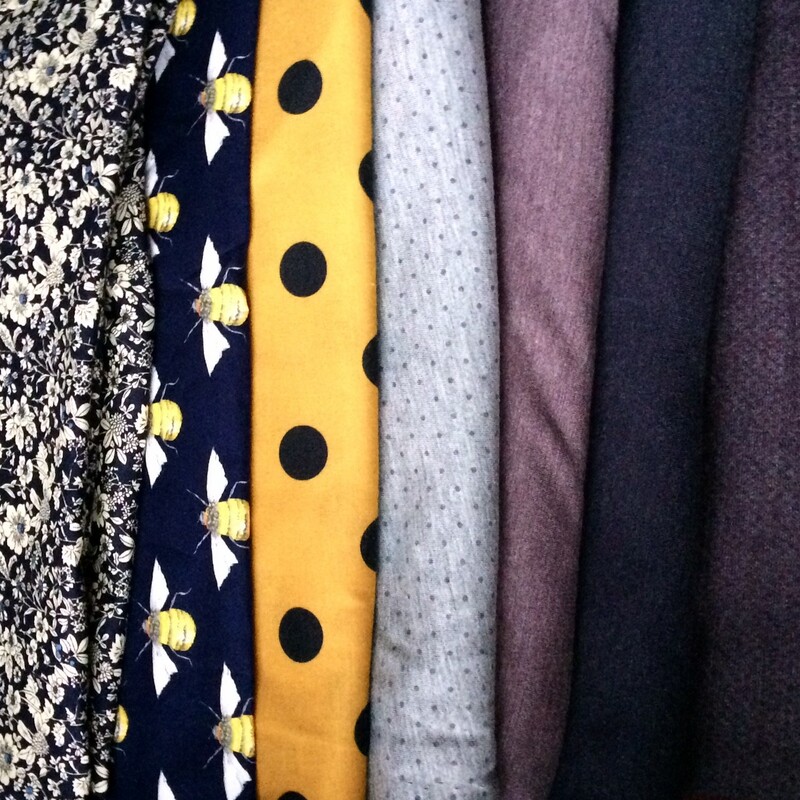 Stay subtle in a solid fabric, go jazzy in a print, or go bold and mix the two to make a feature of the lines. 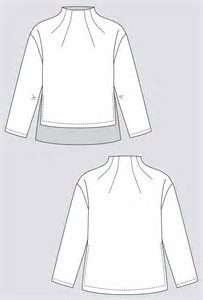 There are three sleeve options to suit the seasons – choose from a short capped sleeve, 3/4 length or full length. 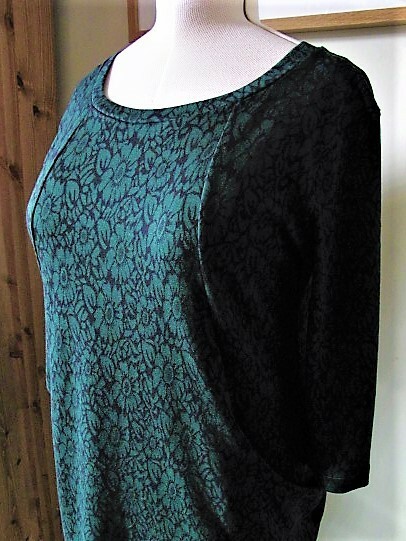 I made a concerted effort to get out of my blue comfort zone and opted for a green and black floral Ponte from the Textile Centre’s eBay store. 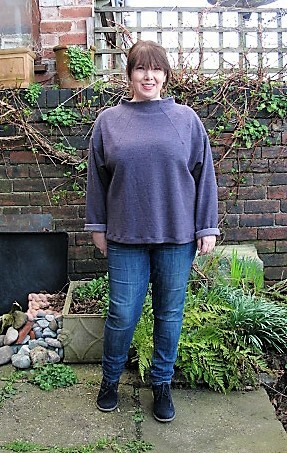 I cut a size 16 (41-34-44) which was the closest to my own measurements. 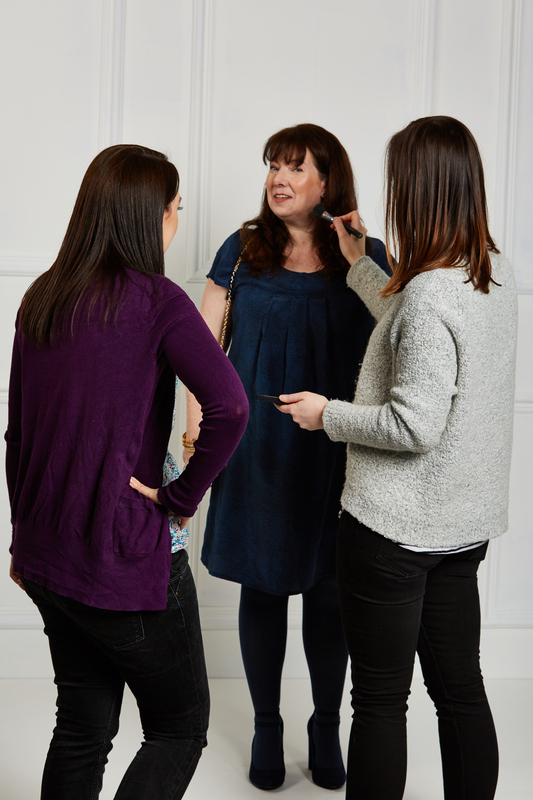 The finished measurements for a size 16 are 41-40-46.5. 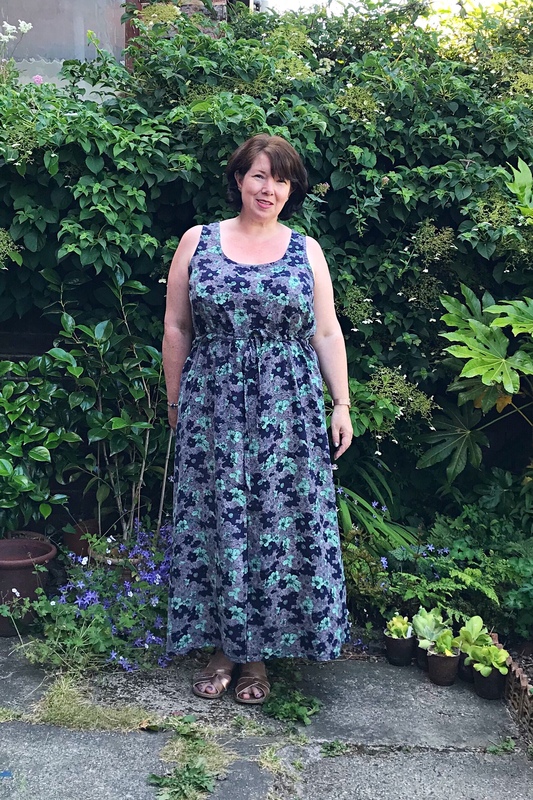 The dress came together quickly and easily, I used my overlocker throughout but it would be equally easy to use a standard machine. I had a bit of a problem with the fabric stretching out on the side seam near the pocket and along the hem. I overlocked the hem before turning up and finishing with a twin needle, I think it was the overlocking which stretched it out and caused the subsequent rippling. Although the dress fitted well through the shoulders and bust it came up very large through the waist and hips. I took a good inch off each side which slimmed it down a bit. Next time I’ll grade down at least two sizes through the waist and hips. 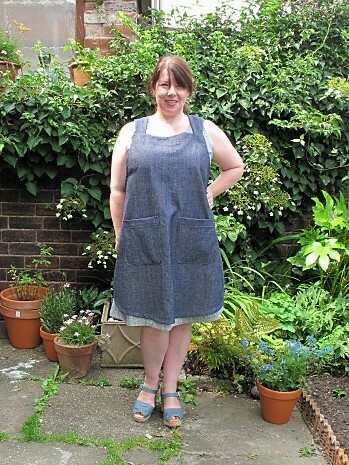 Overall I’m pleased with the finished dress, it’s perfect for pottering about the house and garden and I love the big pockets. 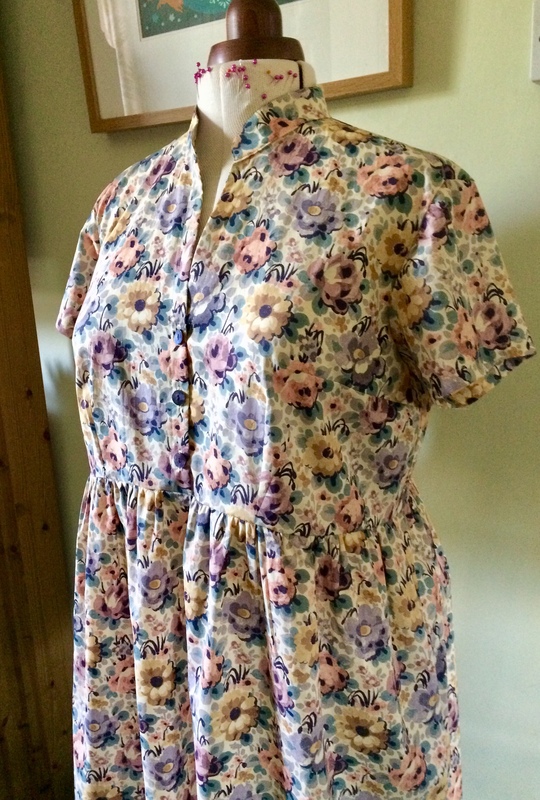 I’ve already bought more fabric to make another one, it’s a heather Ponte so it will be a heather Heather dress! 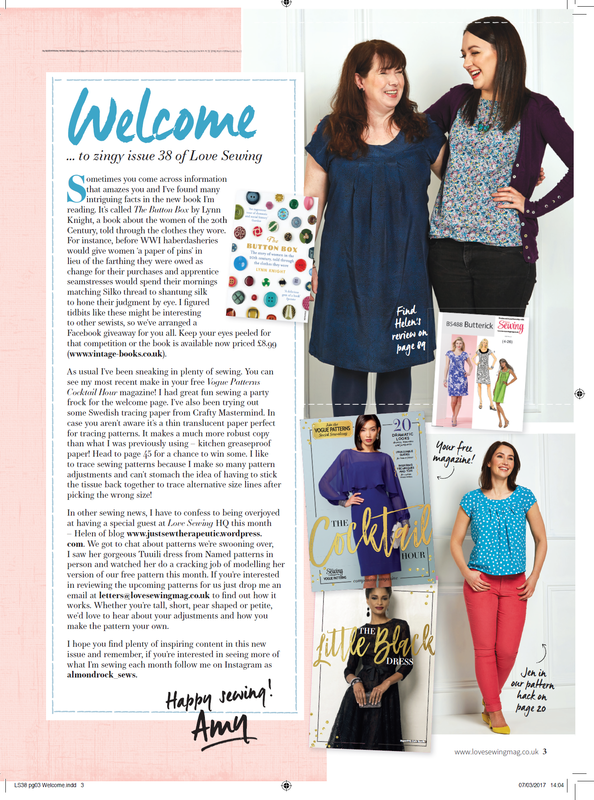 A couple of months ago Amy, the editor of Love Sewing Magazine, got in touch to see if I’d like to review one of the upcoming free patterns. 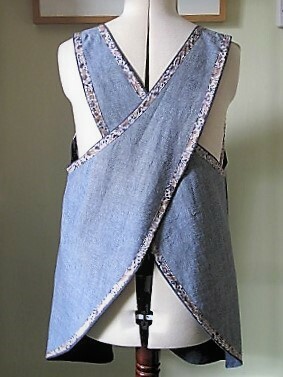 I was happy to give it a go as I’d been in the sewing doldrums and hoped a bit of a challenge would bring me out of it. 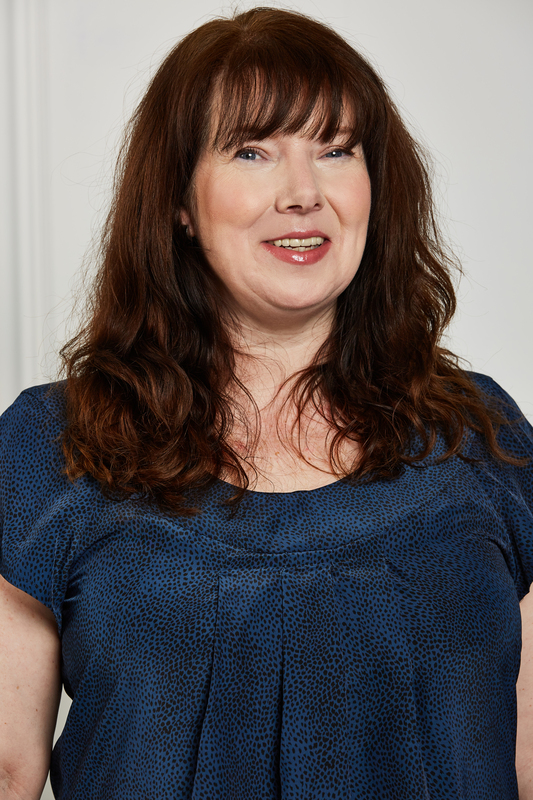 I was a little concerned about getting a half decent picture when Amy asked if I would like to go and do a proper photo shoot; hair, make up and everything! They wanted to showcase readers makes but also show them on real bodies. 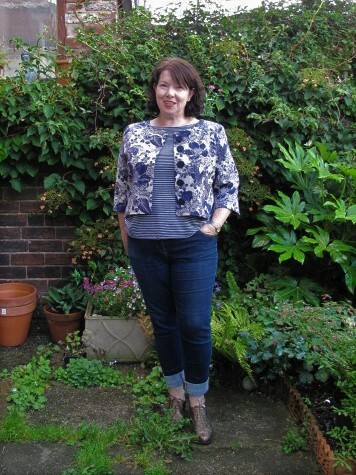 I must admit to being a little apprehensive, it’s one thing taking a few photos in the back garden to put on a blog but being in a national magazine (the UK’s No 1 sewing mag) took it to another level. But my family encouraged me to do it, saying I’d never done anything like it before and may never get the chance to do it again! So one bright morning in February I ventured across the Derbyshire Peaks to their studio in Stockport. 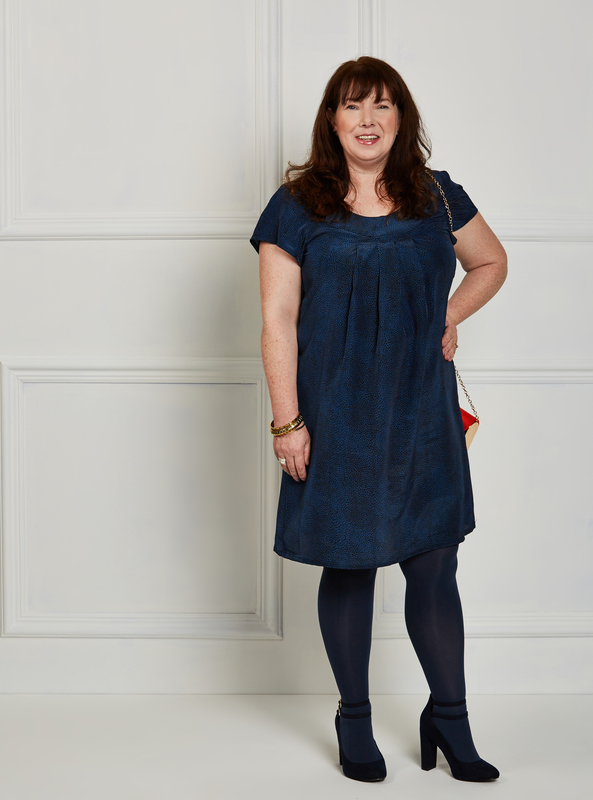 Amy was first up modelling her Vogue eve appeal dress which looked stunning. Meanwhile, Nina did my hair and makeup. 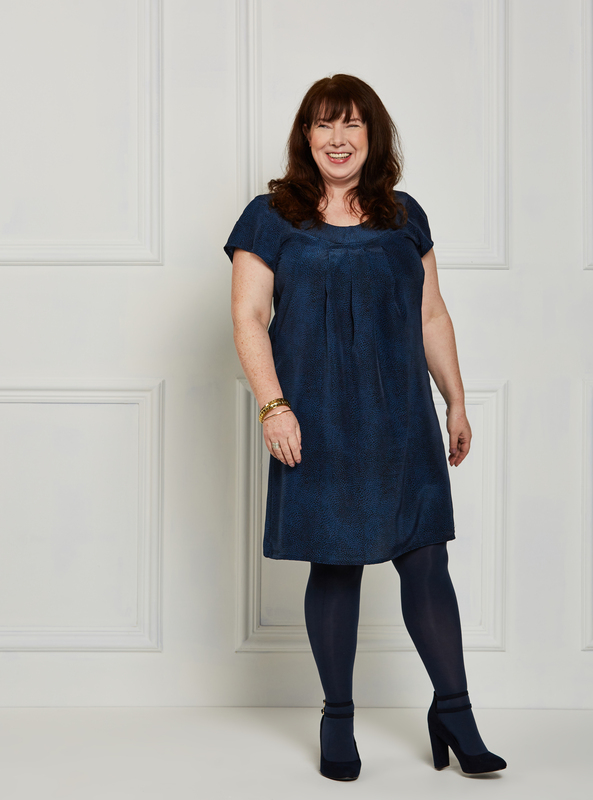 I’d worn black tights and taken my blue wedding shoes to wear but Denise the shoot director persuaded me that blue tights and blue suede heels would look better in the pictures (I was worried I’d look like a Smurf but looking at the photos she was so right, I could really do with her restyling me every morning before I leave the house!) Then it was my turn in front of Renata’s camera. I’d just like to say a big thanks to Amy, Nina, Denise and Renata for making me feel so comfortable and making it a day I’ll never forget! I think it’s sometimes easy to be put off a pattern due to the way it’s been styled on the front of the envelope. Bearing this in mind I wouldn’t have initially been drawn to this pattern but going by the line drawing I could see that it had potential. 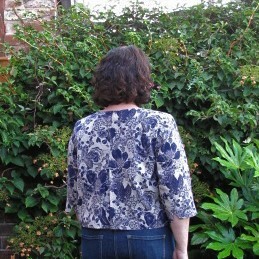 The fabric I used was a midnight blue animal print Crepe de Chine from the Fabric Godmother. 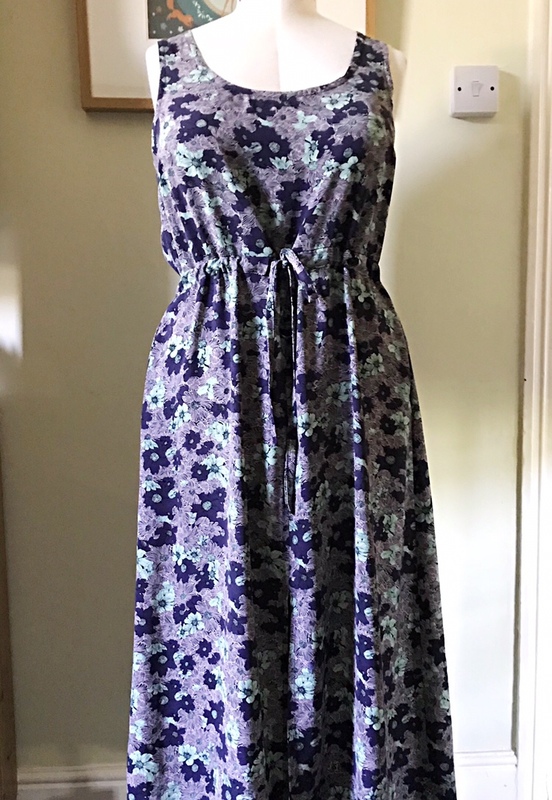 Very lightweight and floaty with a lovely drape to it. 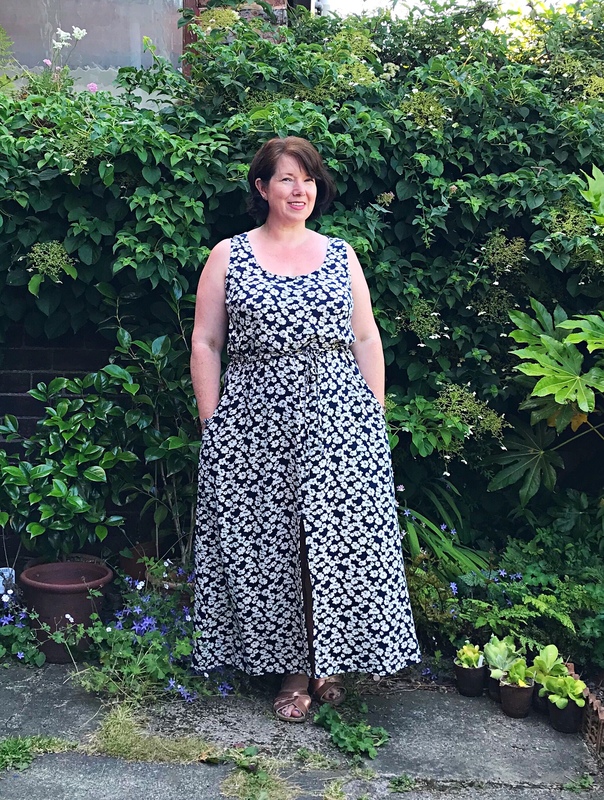 After a test sew I decided to use a size 70 needle and a slightly shorter stitch length to minimise the risk of puckering, which is one of the pitfalls of sewing with fine fabrics. 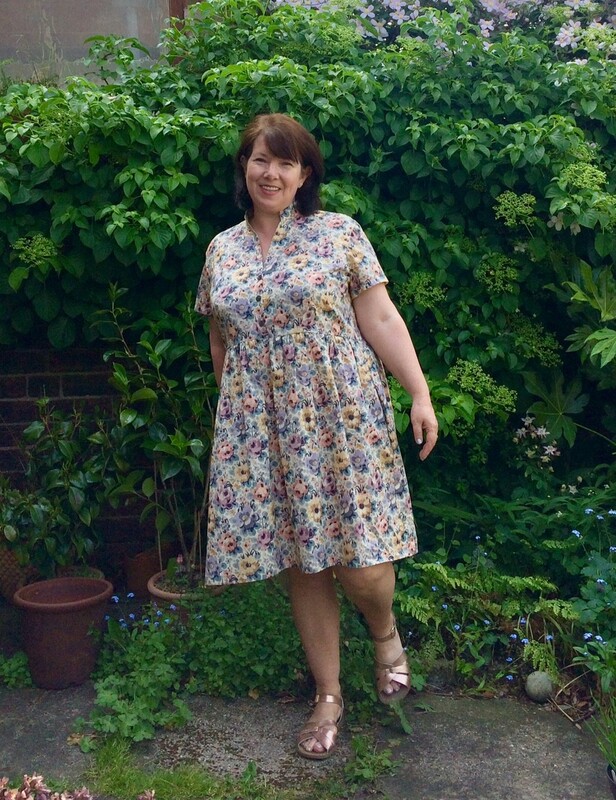 Although my measurements (42-34-42) put me at size 20 I know from experience that Butterick patterns come up large on me so decided to size down to an 18. I made a quick muslin before cutting into the good stuff and although the fit was fine around the yoke and bust there was a lot of ease in the dress and it came up very large. There’s no shaping to the dress so it’s straight up and down. 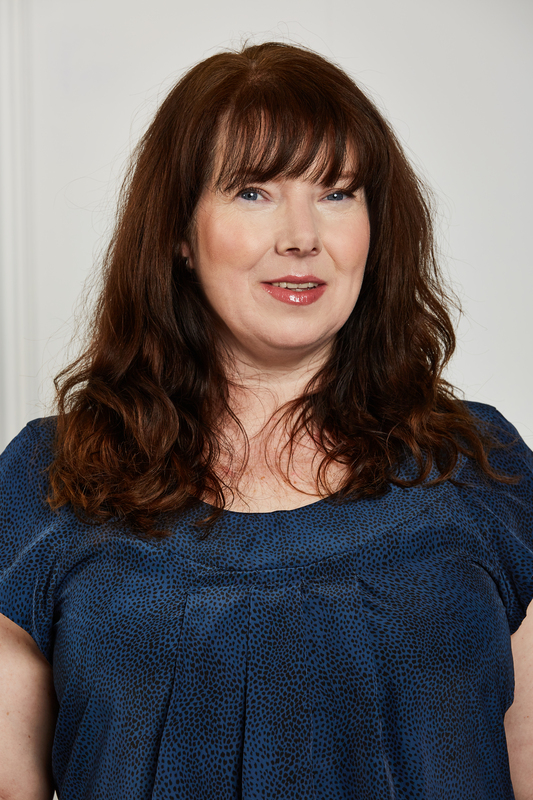 The pleats at the back also produced a lot of volume which is a place where it isn’t necessarily needed. I decided to tweak it a little and add a bit of shaping. 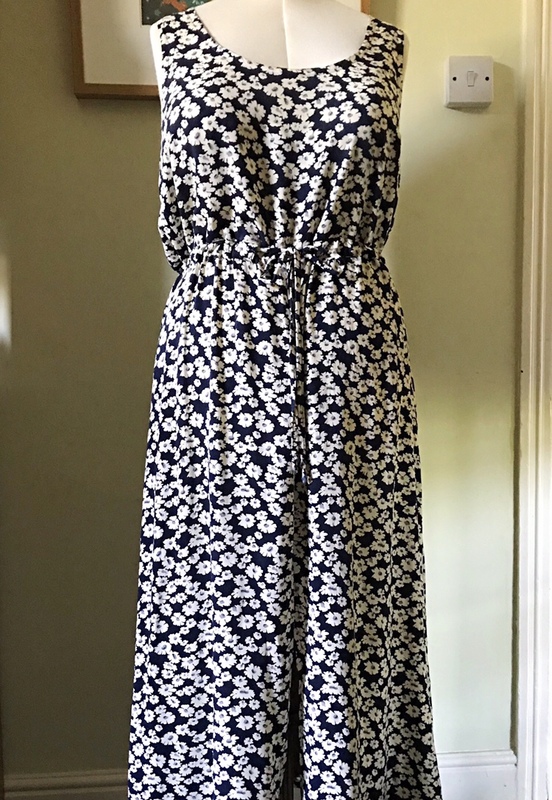 I graded right down to a 12 at the waist and then graded out to a 26 towards the hem to give it a bit of flare around the bottom. 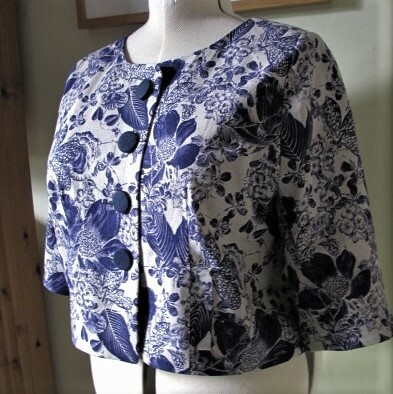 As the fabric was very lightweight I used Vilene superfine interfacing on both the yoke and yoke facing which gave it an extra bit of stability. I used French seams throughout and it came together very quickly. 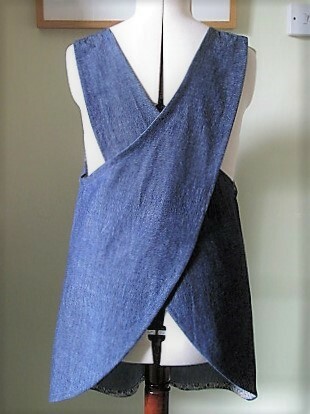 The most time-consuming part was sewing the yoke. 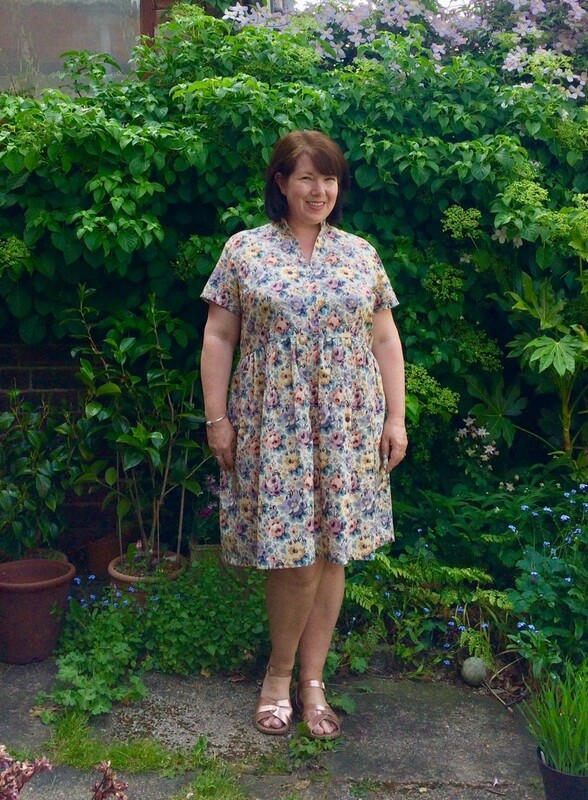 The grading between sizes seems to have worked quite well and I am much happier with how the dress falls now. It has also pulled in the back a little across the waist but there is still a lot of volume above. I think pinching out a couple of the pleats at the back might help reduce this. 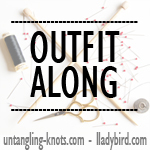 Advantages: quick and easy to make, no fastenings so easy to throw on. 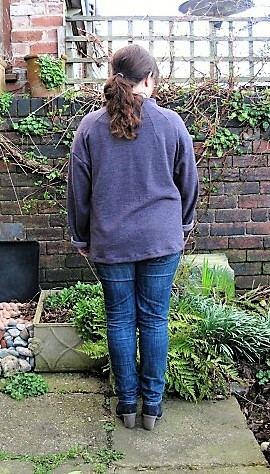 Disadvantages: a lot of extra ease and unnecessary volume at the back (but these can be fixed with a bit of tweaking). 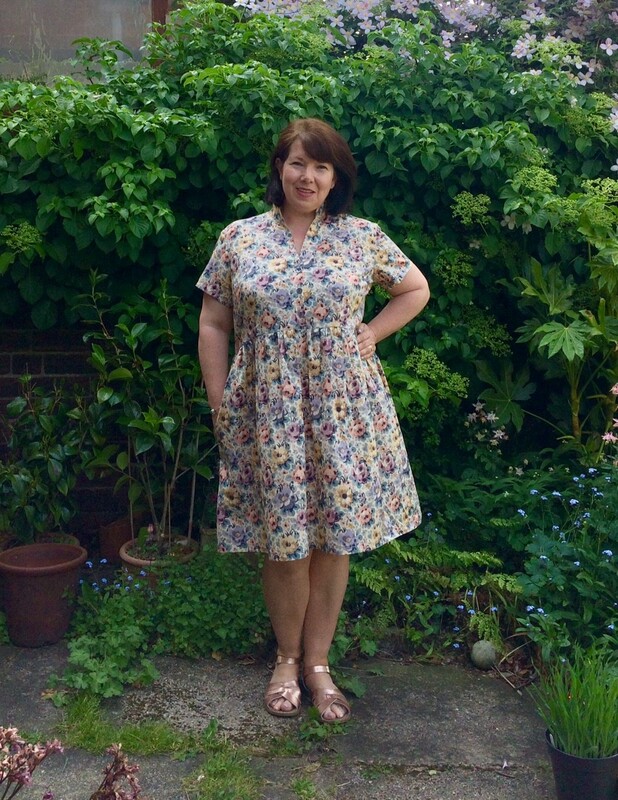 It’s quite a difficult dress to fit as you go along, it’s impossible to try it on until the yoke is attached (by which time the dress is essentially finished) One option would be to only sew the top few inches of the side and back seams and then add the yoke. This gives the opportunity to tweak the fit of the dress before finishing the seams. 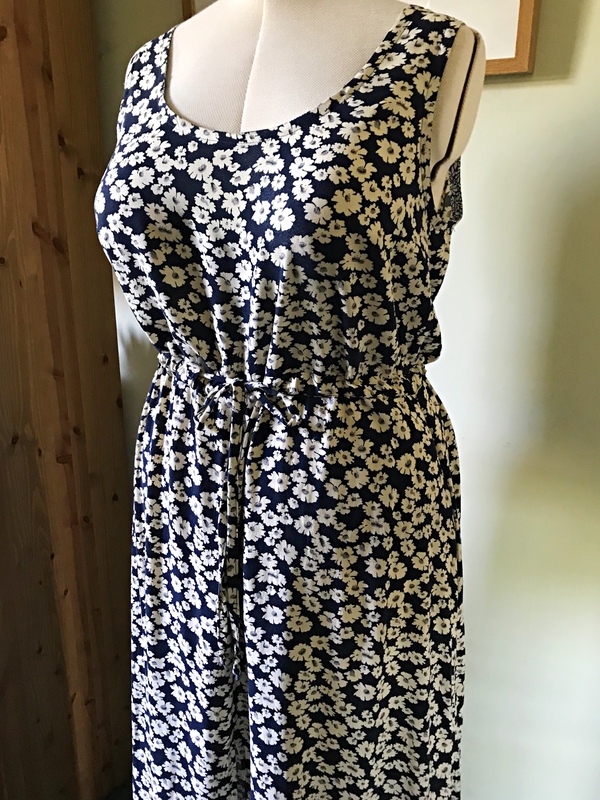 It’s an ideal dress for summer, the loose fit is perfect for hot days when you don’t want to be restricted by anything fitted. 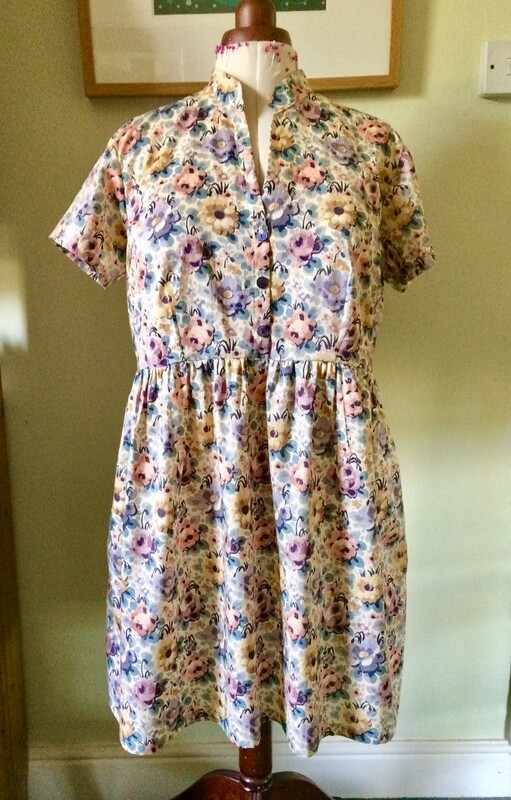 There’s also the option to shorten the dress into a top, which is what I plan to do with the muslin I made. I think fabric choice is key to making this pattern work, it really needs to be fairly lightweight with plenty of drape, anything with a bit of body could have the potential to look bulky. I would add in seam pockets next time, one of the best things about sewing your own clothes is the opportunity to add pockets to everything! 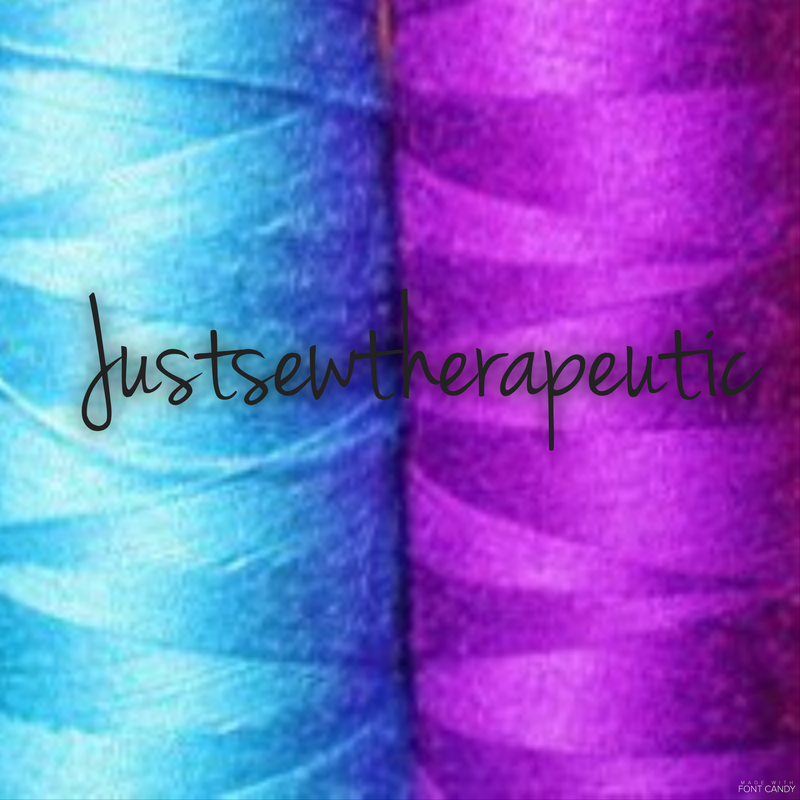 · Pick a medium-weight to heavy stretch fabric with at least 30 % stretch. 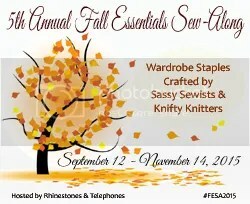 For example sweatshirt jersey, cable knit, knit fleece or a boiled wool. 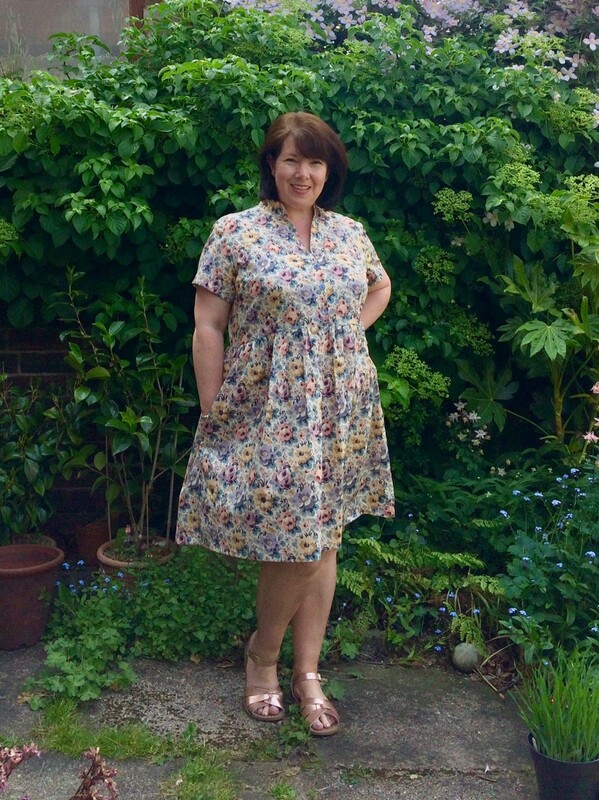 My fabric is a heather Ponte from the Fabworks Mill shop which I bought at the Sew Down Dewsbury meet up. 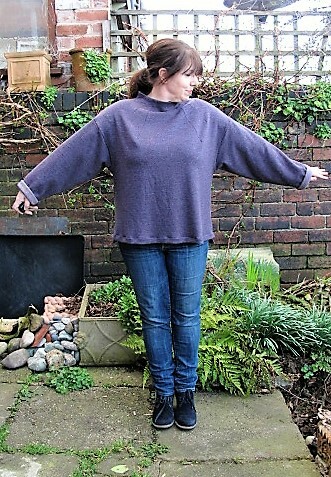 As with other Named patterns there’s a good size range, from a UK 4 (30-23-33) up to a 22 (46-39-48) I cut a size 16/18 but shortened the body and sleeves by two inches. It was impossible to use chalk or frixion to mark the darts so I used tailors tacks instead. 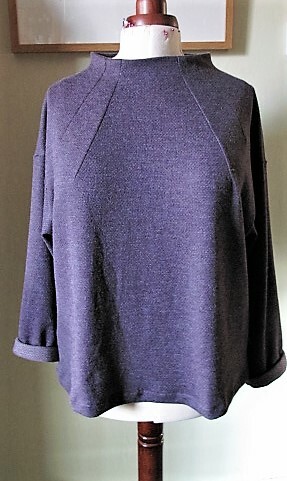 It’s critical to sew the darts perfectly to form the structure of the turtleneck. 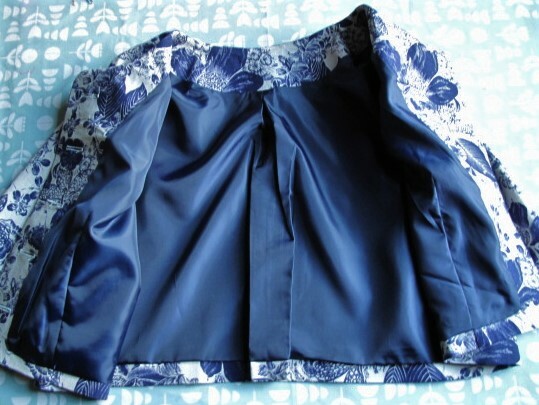 I sewed the shoulder seams and attached the sleeves with my overlocker, then finished the sleeve and side seams by overlocking down each side before using my normal machine to stitch them together. 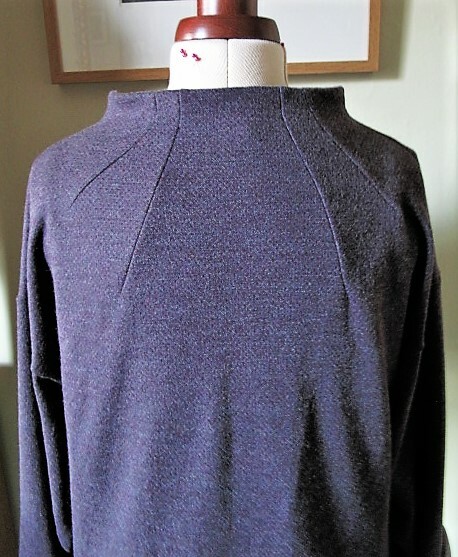 I reduced the length of the back hem by an inch just to get it in proportion to my height, and used a slightly long straight stitch to finish the hem and sleeves. 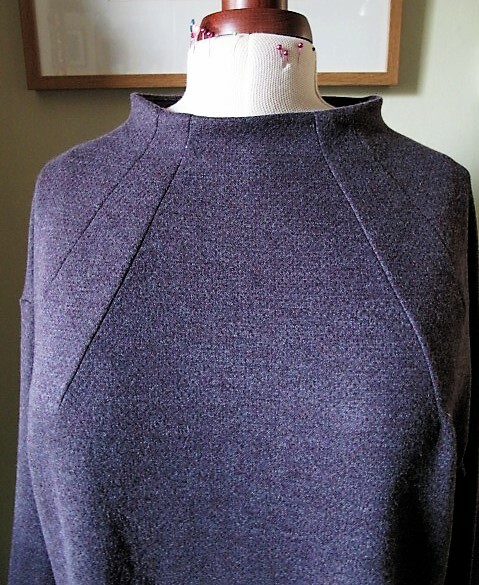 The neckline is finished with a facing which is easily kept in place by tacking it to each dart and shoulder seam. Looking at the pictures I really should have given it a press beforehand but I was a bit eager to wear it (the hem ripples have straightened with a good press since). 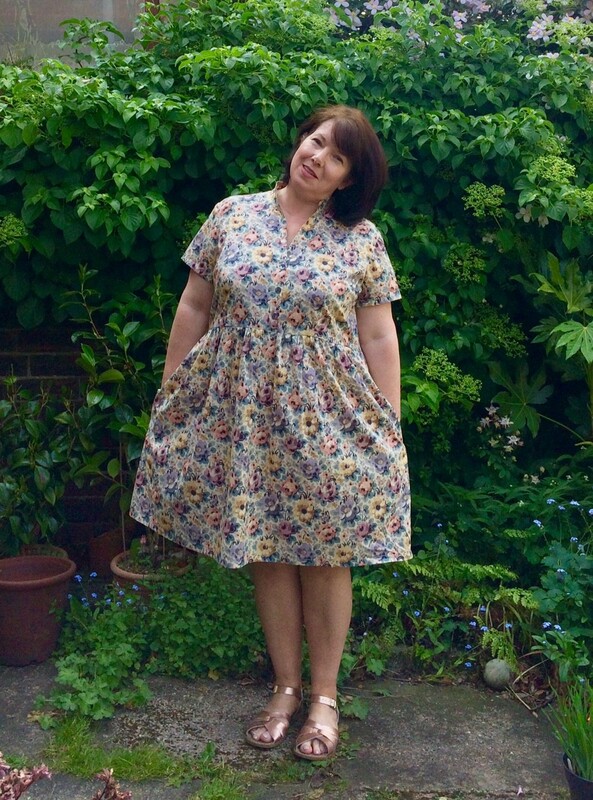 I was a little worried that it was too ‘oversized’ but after putting it on realised that the ‘cuddly’ description was very true and the fabric lends itself perfectly to the pattern. There’s a lot of volume in the sleeves which I was initially not sure about, but after wearing it a couple of times it doesn’t seem to be an issue. I intended to only buy knit fabric at the Dewsbury meet up. I did very well but a couple of woven pieces sneaked in, a navy version of the floral I used to make my Bruyere and I couldn’t resist the bees. 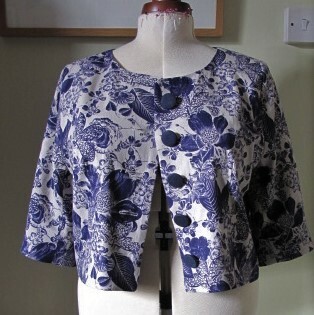 I’m going to try and focus on practical sewing for the time being, Spring is here and I really need some more T-shirts. 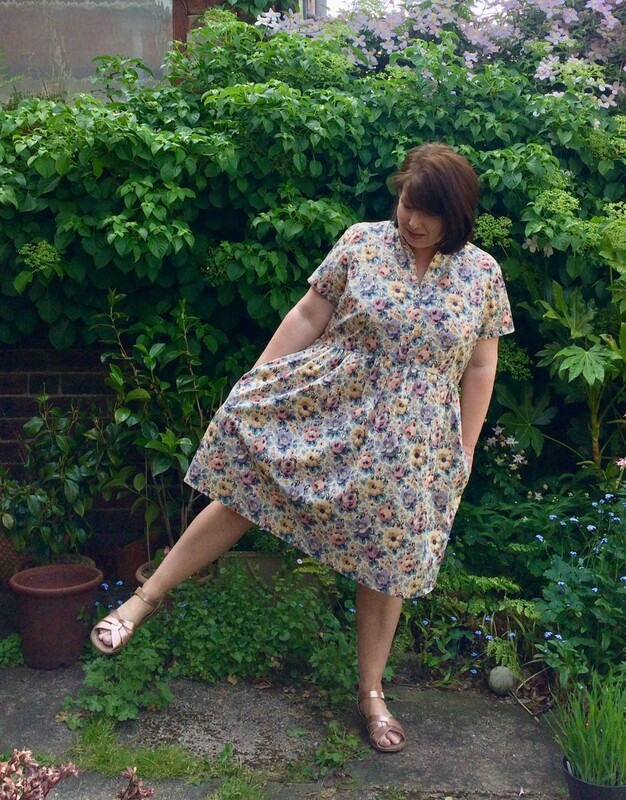 I’m thinking of trying something different from my TNT Plantain, Hemlock and Kirsten (all free to download, all excellent patterns) I’ve just got one more dress to finish off before I can get started!